Hi, I'm Jessica. I’m so glad you found me here! She did an amazing job with our toddler & family. Absolutely obsessed with the photos & can’t recommend her enough!! "Jessica is so fun to work with!" Most days you’ll find me with a red headed toddler on my hip and a latte in my hand, or holed up away in a cute cafe editing photos. I am most passionate about supporting women-led businesses, shopping small, and creating the perfect smoothie. 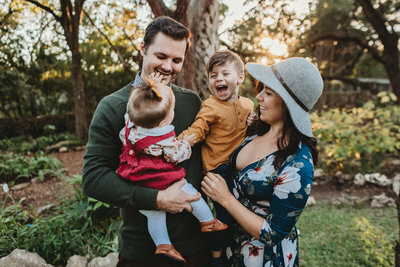 I am a former OB/GYN Nurse Educator, and my deep love of working with expecting mamas, newborns, and families has never left me as I’ve transitioned from nursing to photography. I’m a lifestyle and documentary photographer, which means that I’m fiercely in love with capturing real, authentic moments in natural light. You won’t find me posing clients against backdrops or using props. Most of my sessions take place outdoors or inside your home, by a bright patch of light shining through a window. There is nothing that excites me more than spending time with you and your amazing family, and delivering images that make you feel transported right back to that moment in time. Whether it’s your pregnant belly, your baby’s first birthday, or your preschooler’s giggles (and pouts! ), I am so passionate about giving you an incredible and unique experience right from the beginning. really good books, discovering new coffee shops, blogging, fresh babies, glowing pregnant mamas, Juiceland smoothies, travel, and connecting with others. publish a book, take a hot air balloon ride, establish an annual full-ride college scholarship for single mothers, visit the Blue Lagoon in Iceland (and document it on my camera! ), and rescue more puppies!